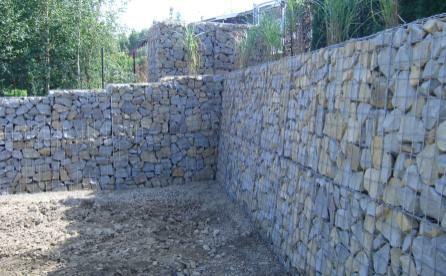 Commercial engineer designed geogrid reinforced gabion retaining walls. 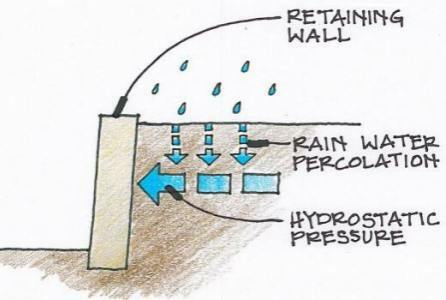 Retaining wall profiles and design factors. The retaining wall toe prevents the gabion wall sliding forwards, the depth of the toe needs to increase as the wall gets bigger. 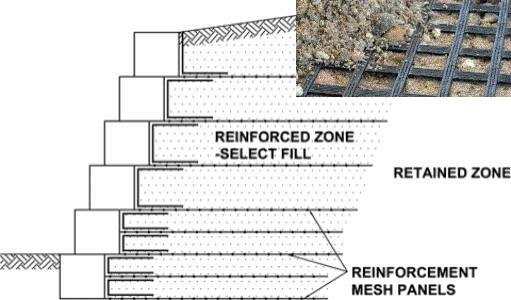 When building gabions on softer soils, both the depth of the toe and the size of the base needs to be increased to spread the load over a wider area. 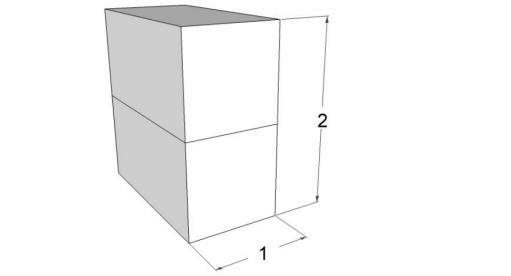 An engineer's design will consider the design limit states and specify the dimensions of the toe and base for your wall. 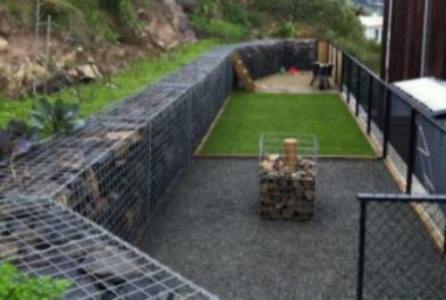 When the gabion retaining wall is subject to a additional surcharges, from a driveway or other loads, the design will most likely increase the depth of the gabions, to handle the higher expected loads. For larger retaining walls and difficult sites, it is recommended that a soil investigation is undertaken and that the wall is designed by a qualified geotechnical engineer.